Japan got 99 problems, but an Xbox ain't One. The Xbox family has never done particularly well in Japan. Even the 360, the most successful of the bunch, floundered in the land of rising sun. Conventional wisdom puts this down to strong homegrown competitors (a pair of companies called Nintendo and Sony, you might have heard of them) and a general dearth of traditionally Japanese games and genres on the platform. The Xbox One inherited that problem, and brought quite a few more of its own to the table. It was a foregone conclusion that Microsoft's latest would get trounced in Japan, but no one expected it to be this bad. According to Media Create sales figures, a mere 99 Xbox One systems were sold in Japan last week. Compare that to the PlayStation 4, which shifted 25,592 units and the apparently "dead" Wii U, which sold 15,398. The New 3DS LL topped the charts at 30,172, but it has DS in its name, which is kind of cheating. They always sell well. To put those numbers into perspective, the Xbox One sold just 25,674 during its first 4 days on sale in Japan and just 3,015 the following week. For comparison, the 360 (which was also considered somewhat of a failure in Japan) sold 60,000 in its first two days on sale. Kotaku quite famously published a series of pictures of the Xbox One's desperately sad launch events. The problem isn't just limited to Japan. 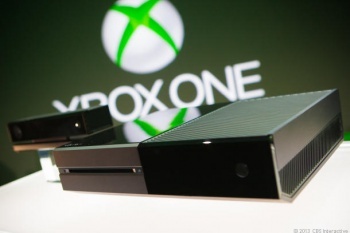 Microsoft has been cagey about releasing global sales numbers for the Xbox One. Venture Beat estimated that as of November of last year, Microsoft had sold roughly 15 million units. The PS4, for comparison, had shifted over 30 million by that point.